No inspiration to write a long love letter for Valentine’s Day? No worries, the Neuhaus Love Letter box will help you out! The Love Letter box offers a delicious selection of 15 chocolate hearts with flavors like raspberry with Chinese Yunan green tea, Colombian Panela sugar with Espelette pepper, and vanilla from Madagascar with salted caramel. 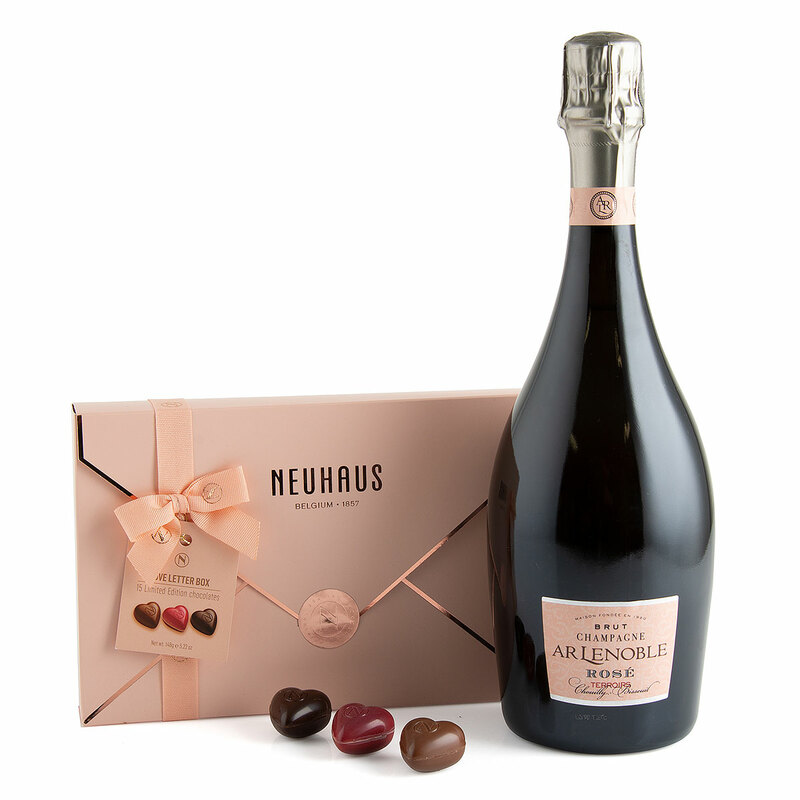 The Love Letter box is presented with an exclusive bottle of rosé Champagne from the Champagne house A.R. Lenoble. The Champagne is of the highest quality, boasting a Robert Parker score of 92 out of 100.